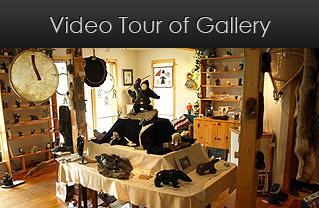 Inside The Birches GalleryWe are pleased to announce that The Birches Gallery has found a new home just northeast of Nova Scotia's beautiful Annapolis Valley, on Hwy 215's scenic Kempt and Noel Shores. 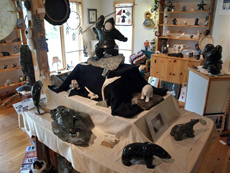 Open since 1994, our gallery has served the Labrador region's Inuit, Innu, Metis and Settler artists who worked in such traditional media as: soapstone, serpentine, labradorite, antler, ivory and whalebone. 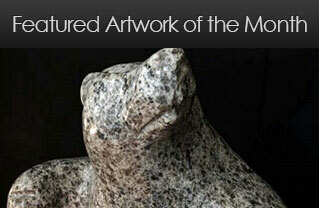 For three decades, carvers found a ready market for their prized sculptures. 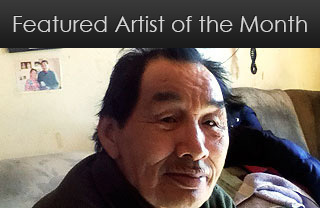 The fine art and craft paintings, hangings, teadolls and basketry made the storied Innu teadolls and the sought after saltwater grass baskets popular the world over. 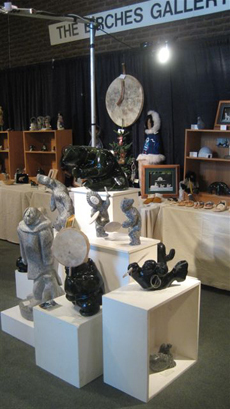 Trade Show Exhibit in St. John'sOur gallery has become widely known among collectors, museums, art procurement agencies, the gift market and corporate collections. Shops and galleries throughtout the maritime region have availed themselves of our services. Herb Brown, born and raised in British Columbia, and later finding himself inspired and at home on these enchanting Atlantic shores, built a new life and his east coast family business over four decades as educator, arts promoter and organic farmer. He has promoted the art and artists of Labrador from St. John's to Vancouver, from Boston to Phoenix over the past 30 years and is now, as a new Nova Scotia retiree, welcoming the world to the heart of Labrador and the Maritimes. Contact us for an appointment.